Over the last two days, McDonald’s employees in California, Michigan and New York have filed a total of seven class-action suits against the fast food giant and various franchise operators, alleging a range of violations, from failing to pay overtime, to making employees work undocumented hours. Four of the lawsuits were brought in California. 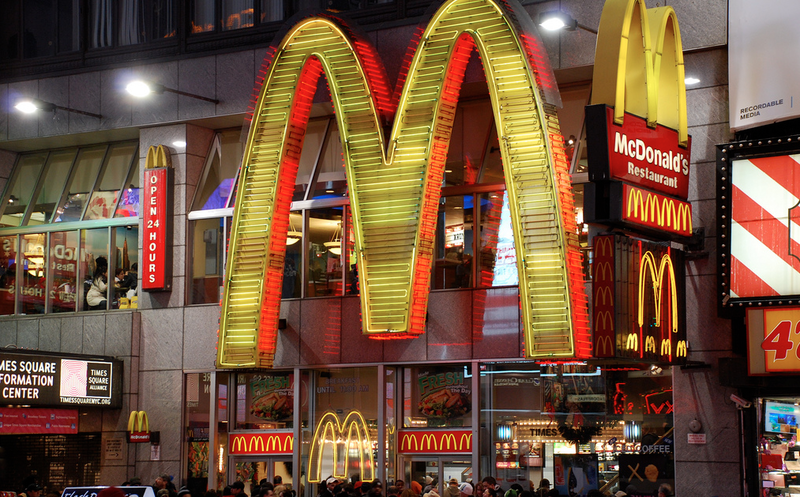 Three were filed against McDonald’s Corporate and different franchisees. In those suits, the plaintiffs claim that workers were not paid for all the hours they worked, did not receive overtime wages, and that pay records were altered. The fourth California suit involves similar allegations, but at McDonald’s locations that are corporate-owned. “We’ve uncovered several unlawful schemes, but they all share a common purpose – to drive labor costs down by stealing wages from McDonald’s workers,” said an attorney who filed the California suits. Meanwhile, McDonald’s faces two new lawsuits in Michigan, where the company and two Detroit-area franchisees are accused of making employees come into work but only paying them for the hours during which there are customers in the store. According to the suit, franchisees would use corporate-supplied software to determine when a store’s labor costs were eating into its revenue. Then employees were allegedly told to wait to clock in for up to an hour after arriving at work. The complaint claims that some clocked-in employees would later be told to clock out for extended periods of time until the cost/revenue ratio was where the franchisee wanted it to be. Workers also allege that they were forced to pay for their own uniforms. As we’ve covered before, it can be a violation of the federal Fair Labor Standards Act to compel an employee to purchase a uniform, but only if the cost of that uniform means the employee made less than minimum wage. Uniforms are also at the heart of the new lawsuit filed in New York. In that case, employees are looking to hold McDonald’s to a state regulation that requires companies to pay certain workers for weekly uniform maintenance. “Because McDonald’s restaurants pay so little, forcing workers to clean their Golden Arches uniforms on their own dime drives many workers’ wages below the legal minimum,” said one of the attorneys in the New York suit. However, the NY Labor Dept.’s FAQ on the governing law (the New York State Hospitality Industry Wage Order) states that “Employers do not have to pay uniform maintenance for wash-and-wear uniforms,” so you can expect that McDonald’s will contend that its uniforms fall under this umbrella.